We are deeply committed to the specialty of family medicine and care of the whole person. Our faculty have diverse interests including evidence-based medicine, rural health, underserved medicine, maternity care, sports medicine, and national leadership. Our faculty are proud that we are true mentors and support each of our residents as they become the kind of family physician they want to be. Our residents come from diverse backgrounds with a wide variety of academic interests and life experience. Many serve in national leadership positions. 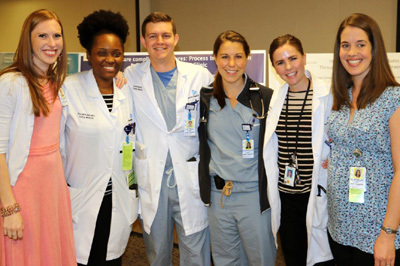 Our graduates practice full-spectrum family medicine in many settings. Career choices for recent graduates include: rural Indian Health Service, urban underserved practice, academics, public health leadership, innovative primary care leadership, and fellowships in sports medicine, obstetrics, and addiction medicine.